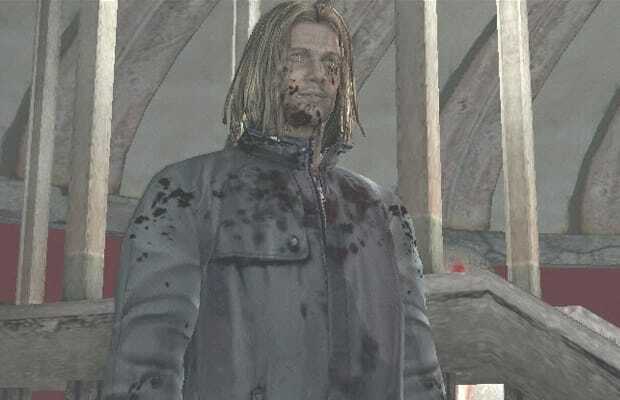 Serial killer Walter Sullivan started out as little more than a grim figure featured some of Silent Hill 2’s newspaper clippings, but in The Room he becomes a far bigger problem. Sullivan’s ghost comes back to haunt Henry Townshend throughout his journeys from a hole in his possessed apartment to various locales within Silent Hill, packing a magnum and an unyielding tendency to show up at the most inopportune times. You can put the murderer down with several rounds from the game’s more powerful weapons, but any respite is only momentary. Move on to another room and he’ll likely be there waiting to plug you full of holes once again. Sullivan’s immortality can be permanent, as well—fail to keep too many monsters from beating up Henry’s neighbor, Eileen, and in the final boss fight you won’t have enough to time to keep Sullivan from killing her and ending the game.